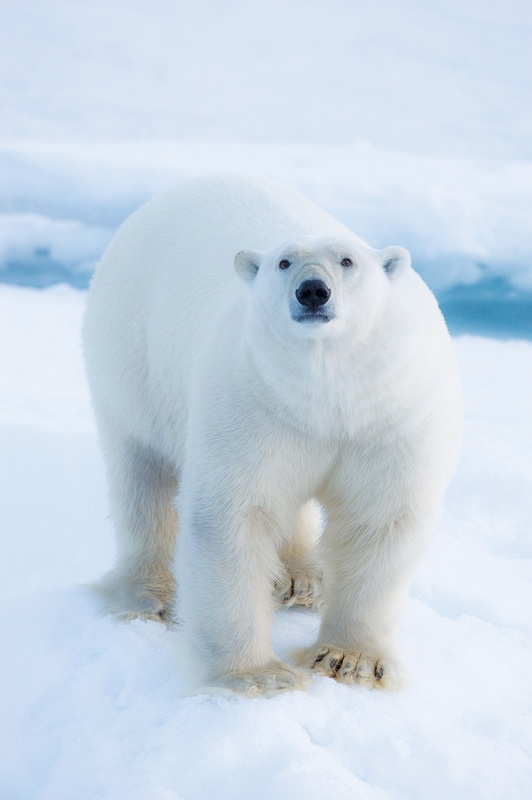 High Arctic Explorer – The Great Canadian Travel Co.
2020 sailings, save 15% for bookings made by October 31, 2019. (See Tour Notes for details). In the mythic far reaches of the Arctic lie Inuit homelands. Journey in comfort from Qausuittuq (Resolute Bay), Nunavut to Kangerlussuaq, Greenland. 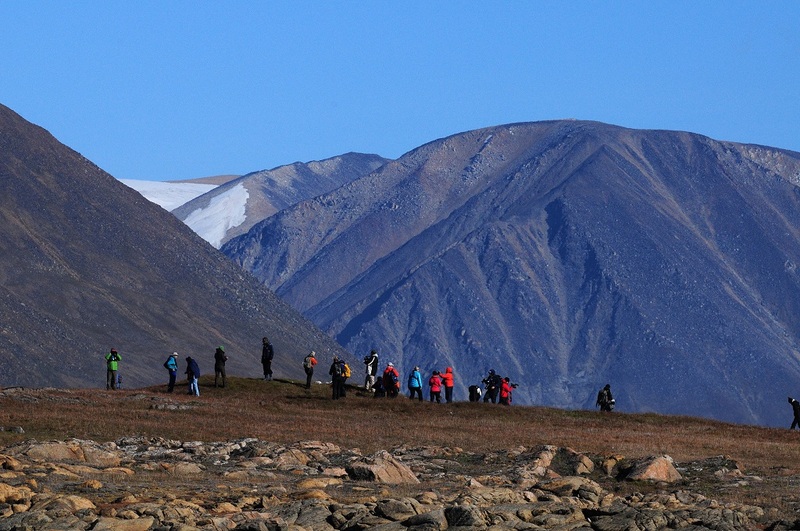 Visit the Arctic at the height of its colourful summer! Formerly Arctic Safari as seen on Mighty Cruise Ships. Charter prices are approximate, shown in US$ per person, inclusive of all taxes and fees. Prices are shown in US$, per person, based on four people sharing a quad cabin, three people sharing a triple, two people sharing a twin or suite and one person in a single cabin. Special single rates are offered in Category 3-7, based on availability. Prices include the Discovery Fund Fee of US$250. 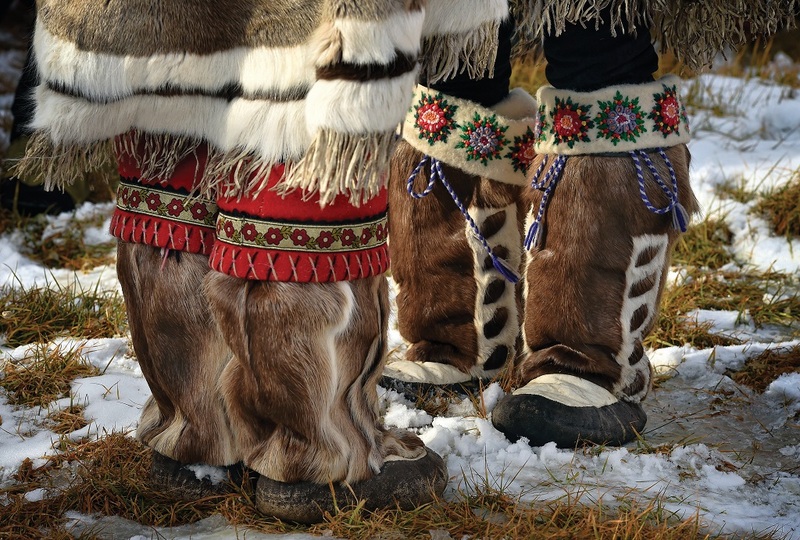 Qausuittuq, or “place with no dawn” is truly the land of the midnight sun—daylight persists constantly from about April 29 to August 13 each year. Archaeological evidence, points to at least three stages of occupation at Qausuittuq by Dorset, Thule and advanced Thule people. The community’s English name, Resolute Bay is in honour of the HMS Resolute, one of the ships in the Franklin search expedition commanded by Captain H.T. Austin. In 1953, Inuit from Inukjuak, Québec, and Mittimatalik were relocated to Qausuittuq by the Canadian government. Today our early morning charter flight will bring us to Qausuittuq, where we will board the Ocean Endeavour and begin our expedition. In 1845, Sir John Franklin set out from England on an attempt to sail through the Northwest Passage for the first time. Not a soul returned from the fateful expedition. The three graves found at Beechey Island left no indication as to the fate of the rest of the British party. 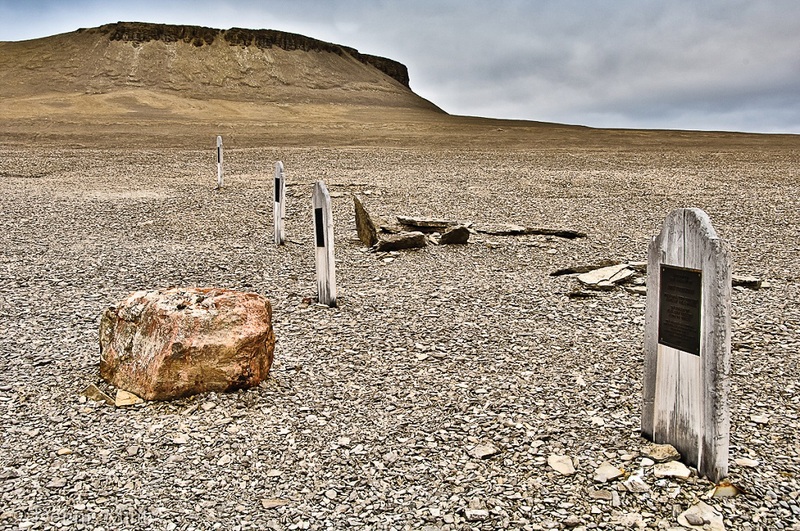 With the discovery of Franklin’s flagship, HMS Erebus in 2014, and Terror in 2016, the graves at Beechey Island and nearby ruins of Northumberland House are bound to be a haunting highlight. Devon Island is the largest uninhabited island on Earth, comprising over fifty thousand square kilometres. The island’s geology consists of reddish Precambrian gneiss and Paeleozoic siltstones and shales; these, combined with its harsh climate, have led NASA to test its Mars rovers on Devon Island! Devon’s finest features include massive landforms, shining glaciers and long-abandoned ruins—and undisturbed habitats for Arctic wildlife. We will spend the day exploring the ocean wilderness of Tallurutiup Imanga (Lancaster Sound), which is a proposed Marine Protected Area. 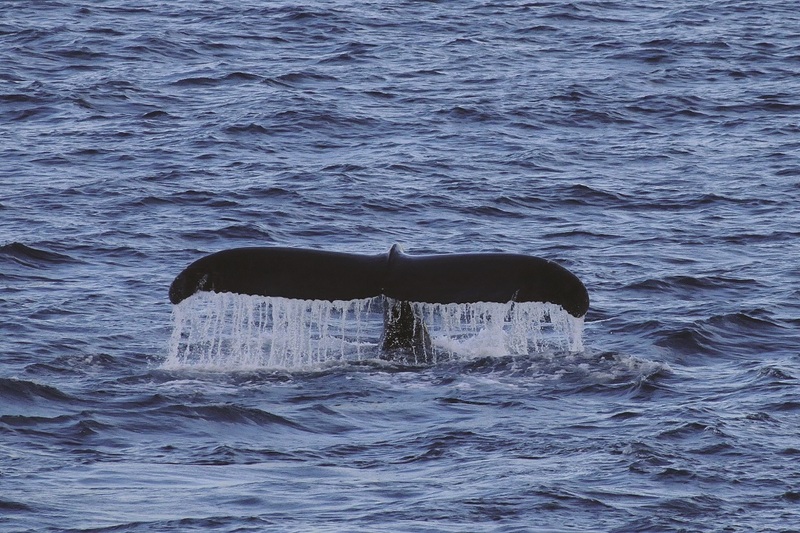 Large populations of marine mammals, including narwhal, beluga and bowhead whales transit and feed in this area. There is a great selection of landing sites available, depending on weather, wildlife, and sea conditions. Today will be an expedition day in the truest sense as we navigate the waterways surrounding Northern Baffin Island. Wildlife will be on our minds—the region is habitat for Thick-billed Murres and Kittiwakes, among other seabirds. Baffin’s mountains are striking, affording stunning perspectives on geological processes. Weather, ice, and opportunity will determine our route, and our team will be on deck for the duration, searching for wildlife and contextualizing the mighty landscape through which we travel. 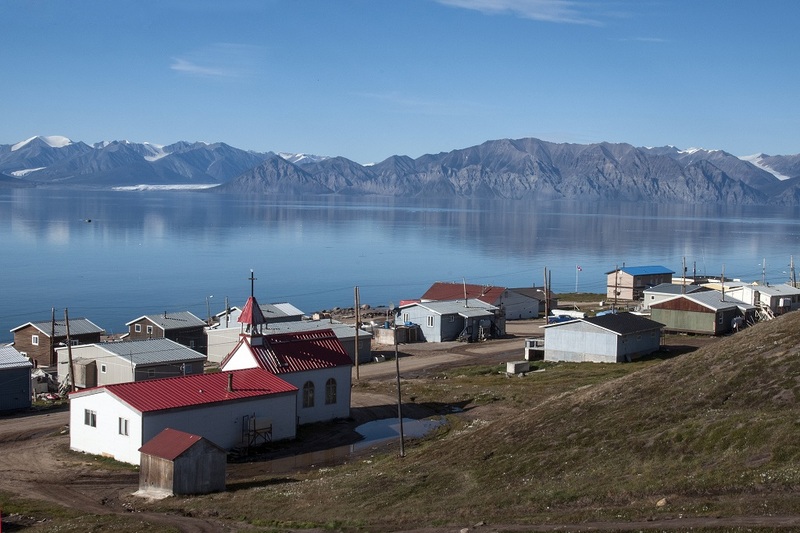 Mittimatalik is a bustling Arctic community surrounded by one of the most beautiful landscapes in the eastern Arctic. We will have a chance to explore the town, including its excellent library and other facilities, and meet many local citizens who will gladly share their culture. A cultural presentation at the Community Hall is not to be missed—arts and crafts may be available here, too. The Northern and Co-op stores offer unique perspective on daily life in the Arctic, and sometimes have carvings as well. Our onboard presentation series will continue as we steam across Davis Strait towards Greenland. 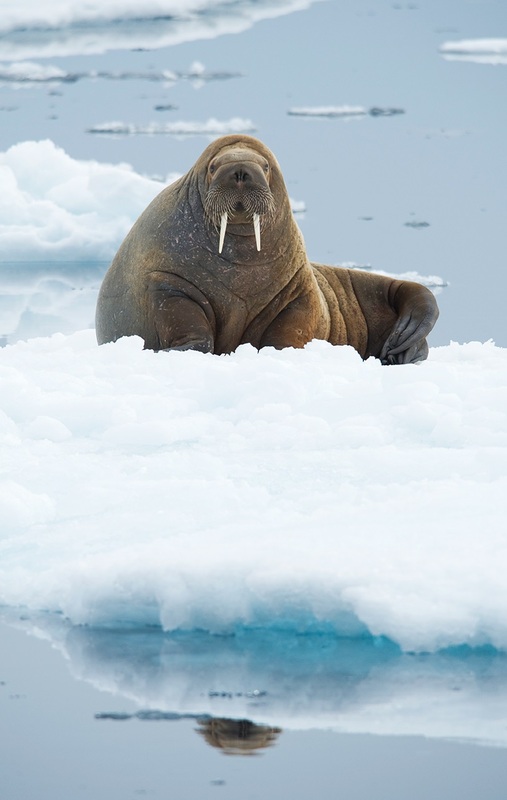 Our expedition team will deepen your understanding of the Arctic as we go! This is an excellent time to enjoy workshops and group learning, watch a documentary, or dive into our library. 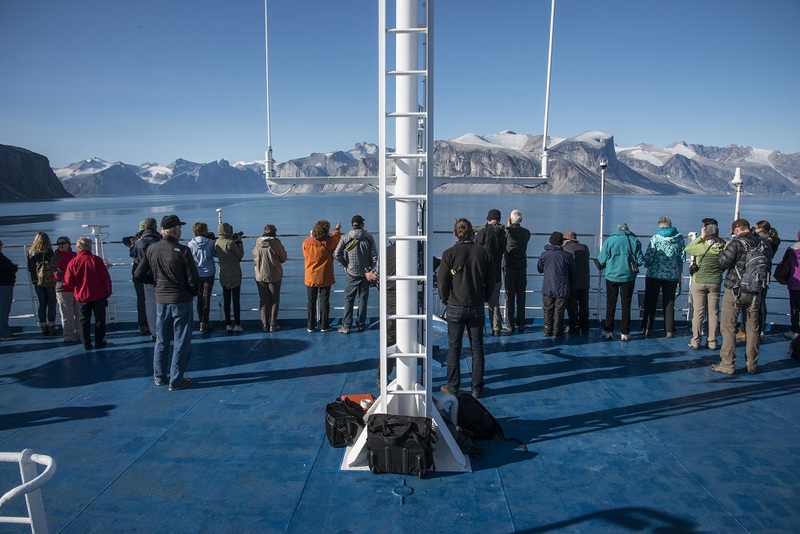 While out on deck, keep your eyes peeled for minke and humpback whales amid potential pack ice, as well as the seabirds that are sure to mark our passage. Greenland’s west coast is simply stunning. An expedition stop in this area will offer many outstanding features of interest. Hikers, walkers, photographers and those who just wish to quietly contemplate will all be equally delighted. From mighty mountains to the tiniest tundra flowers, we will have much to explore. Uummannaq Fjord in northwest Greenland is the country’s second-largest system of fjords, characterized by its developed coastline and various bays, islands, and peninsulas. 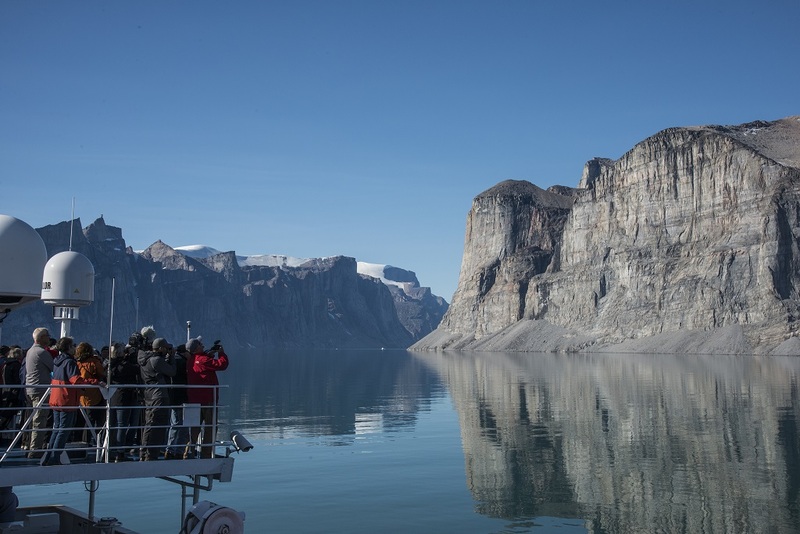 It is considered to be the sunniest spot in Greenland, and favourable weather—coupled with proximity to coastal travel routes—has made the fjord system a popular destination for Greenlandic Inuit. It has been settled and re-settled continually for the last 4,500 years. Expect another day of extraordinary photographic opportunities! Ilulissat translates literally into “iceberg”, and there couldn’t be a more fitting name for this remarkable place. 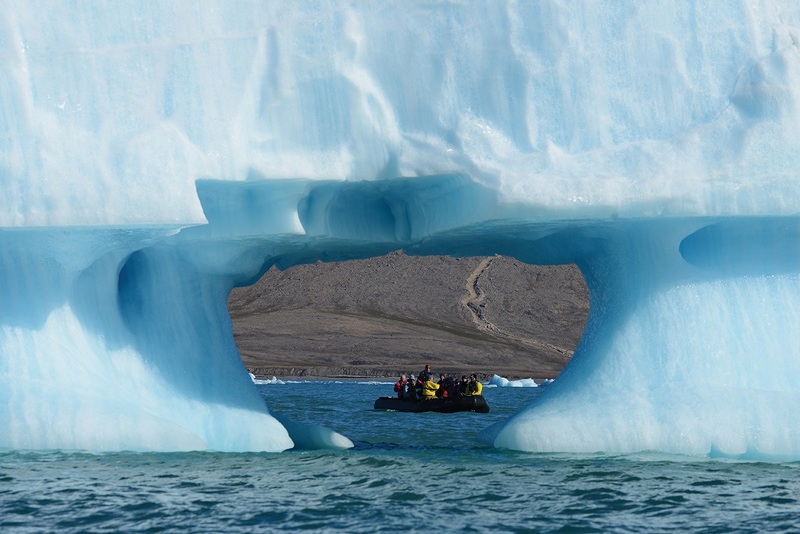 Here, we will cruise in our fleet of Zodiacs at the mouth the Ilulissat Icefjord—a UNESCO World Heritage Site. The icefjord is the outlet of the Sermeq Kujalleq Glacier, one of the most active and fastest moving in the world at nineteen metres per day—calving more than thirty-five square kilometres of ice annually, and creating the majority of the icebergs in the North Atlantic in the process. The bustling town of Ilulissat, with its museums, cafes, craft shops, and busy fishing harbour, offers items of interest for every visitor. Sondre Stromfjord is one of the longest fjords in the world and boasts 168 kilometres of superb scenery. We end our adventure by sailing up this dramatic fjord as the sun rises to greet us. Kangerlussuaq, the town at its eastern head, is a former US Air Force base and Greenland’s only international flight hub. Here we will disembark the Ocean Endeavour and transfer to the airport for our return charter flight. This is our proposed itinerary. 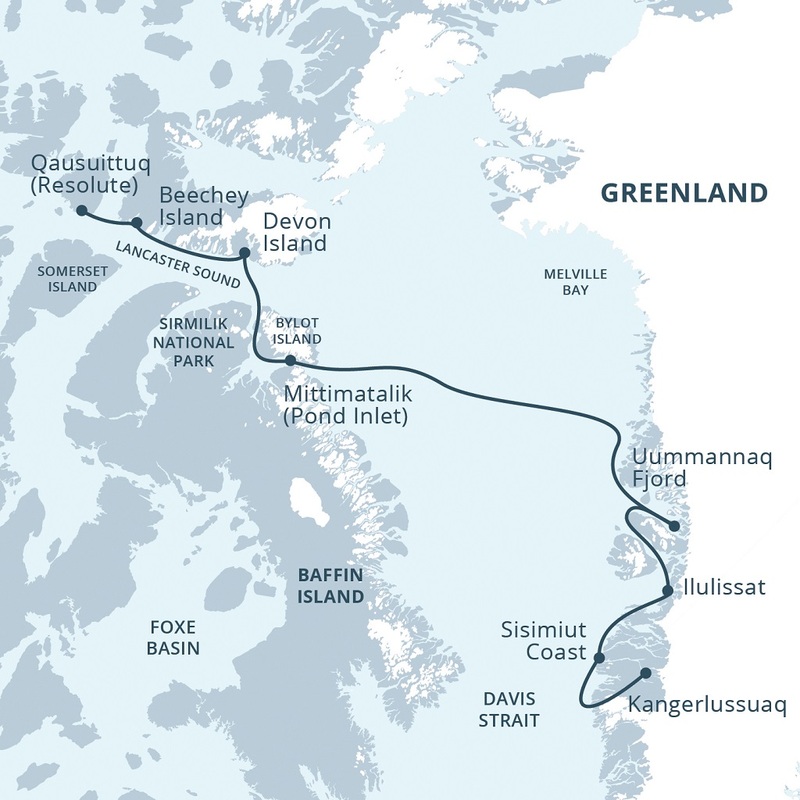 It is highly probable that weather, sea, and ice conditions will not allow us to travel this exact route. Our Expedition Leader and the Ocean Endeavour‘s captain will determine our exact route day by day. 30 Under 30: Save 30% on the berth cost of travellers under thirty aboard Ocean Endeavour expeditions!